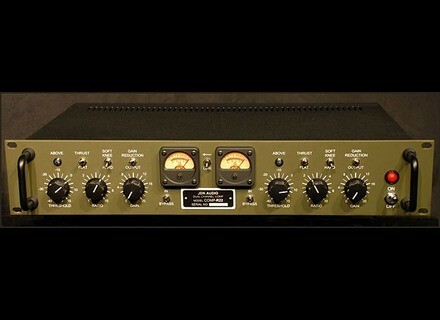 R22 Compressor, Studio compressor from JDK Audio. JDK Audio, the brand developed and engineered by API, announced the fourth product in its line of signal processing equipment. The R22 is a two-channel, rack-mount compressor with linkable stereo operation that uses true RMS power summing, a Thrust circuit for low-end, and "musical" control of all parameters. The R22 interconnects with both balanced XLR and quarter-inch inputs and outputs. Because the R22 has LED indicators and switchable analog metering of the output level and gain reduction, it's easy to optimize gain structure, the company says. Switchable hard- or soft-knee compression, combined with variable threshold, ratio, and make-up gain controls are designed to deliver a wide range of compression textures for an equally wide range of source material. According to JDK, the R22 has a flat frequency response out to 50 kHz. Boss VE-20 Vocal Performer Boss brings effects processing to the performing vocalist,in the design and simplicity of a twin-pedal stompbox, with the VE-20 Vocal Performer. MeldaProduction MFreeformEqualizer MeldaProduction has announced the release of MFreeformEqualizer, a new FFT based linear-phase equalizer which can provide virtually any frequency response, the company promises. LOUD & Avid Sign Licensing Agreement LOUD Technologies Inc. announced it has signed an agreement with Avid that licenses the use of Mackie’s new Onyx-i Series Firewire Recording Mixers with Avid Pro Tools M-Powered 8 software.